In our society today, it is very likely that you will have boys from different cultures and different religions in your Troop. Not just from the standpoint of Scouts Own preparation, but also to better understand your boys and be sensitive to their beliefs, it is a good idea to learn just a little bit about their religion. Here you will find brief descriptions of some of the world's major religions. If you would like to add or improve upon these descriptions, please submit your content to content@bsachaplain.org. The more we have here, the more we can help promote reverence in Scouting. If you submit something, you will be credited for your contribution. 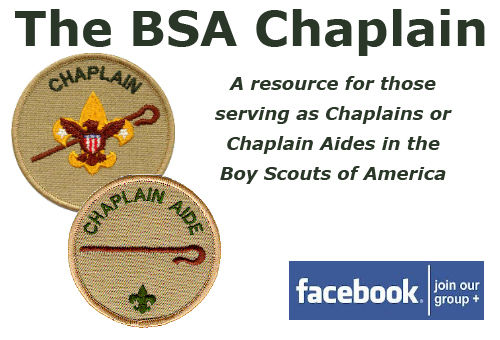 If you would like to add or improve upon these descriptions, please submit your content to content@bsachaplain.org. The more we have here, the more we can help promote reverence in Scouting.